This only goes to demonstrate why we must evaluate all music—music is human expression and can therefore be expression of good or evil. We cannot consider the development of the Church’s hymnody without first considering the music of the Old Testament Hebrews. Christianity began, of course, as an offshoot of faithful Judaism, especially in its worship forms. Understanding the roots of Hebrew music will help us understand the hymnody of the early Church. In this consideration, we must be careful not to transplant our perception of Hebrew music today and simply assume that David’s music sounded exactly the same. Hebrew music in Old Testament times was very different than what we know as modern Jewish music. Jewish music today is a complex mix of Western influences (because Jews were scattered all over the world until the early 1900s), Arabic traditions, and certainly some traditional folk influences. And our perception of Jewish music is usually filtered through pop culture and Hollywood. First 25 Hymns Now Available! The other important factor in our consideration of Hebrew hymnody that we must remember is that Israel was a Theocracy; that is, their religion, politics, and social life were all intertwined, unlike our separation of church and state today. This is important because not all of the music recorded for us in the Old Testament was intended for corporate worship. Music is used for all sorts of purposes in the Bible: there are work songs, war songs, love songs, songs for entertainment, and songs of derision, mourning, and lamentation. Since religion and society were intertwined in Hebrew culture, the Old Testament relates many common uses of music in everyday life. So as we evaluate the hymnody of Hebrew worship, we are limiting ourselves to those songs intended to be sung as part of corporate worship. Contrary to popular opinion, we do have a fairly accurate idea of what Hebrew hymns would have sounded like. 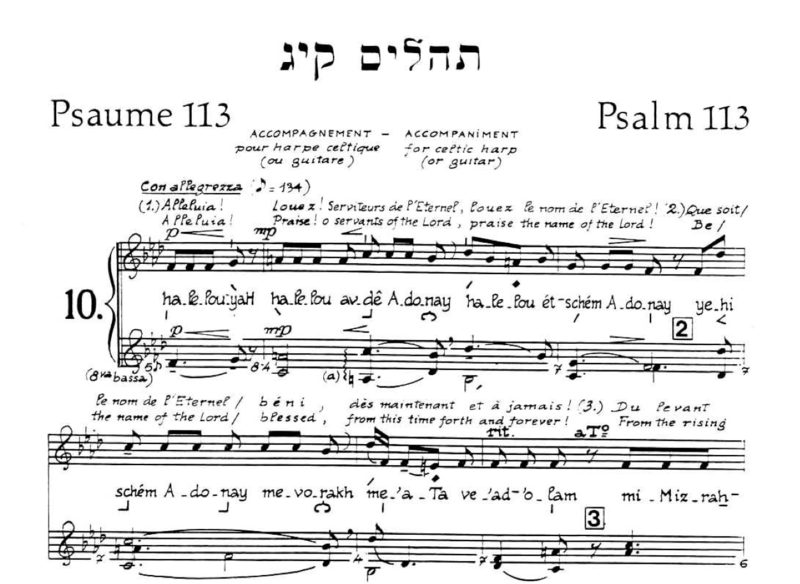 By deciphering markings within the Hebrewsym Scriptures themselves, exploring the kinds of instruments the Bible tells us were used in the Temple, and by investigating various descendants from Hebrew tribes that left Israel prior to the Exile, scholars have been able to reproduce tunes that were used in Hebrew worship. There are several chracteristics to note when we consider the tunes, instruments, and character of Hebrew hymnody. First, Hebrew hymns were text-driven. The fact that the musical notation was part of the accents of the words themselves demonstrates this, along with the fact that the melodies follow the natural rise and fall of the text. The cultural forms nurtured for corporate worship would have influenced the non-worship music of ancient Israel as well. We can observe this by the fact that the poetic forms of worship hymns in the Old Testament and the tunes that accompany them are virtually indistinguishable from their work songs, war songs, and love songs. The difference is only in subject matter. When Israel was taken captive in 586 BC, active cultivation of musical forms would have slowed considerably, especially with the high art music, but the culture of Israel nevertheless remained distinct from their pagan captors. With no Temple, the Hebrews worshiped in Synagogues, and since instrumental accompaniment was associated with Temple worship, singing in the Synagogue was unaccompanied. Today, we enjoy singing many Old Testament Psalm texts, although you may not realize it. Many hymns by Isaac Watts, for example, are paraphrases of various Psalms. For example, “O God Our Help in Ages Past” is from Psalm 90, “Jesus Shall Reign” is from Psalm 72, and “Joy to the World” is from Psalm 98. Fascinating article, Scott. Can't wait to get to a computer that will play the mp3s. As for the psalm texts, can you tell me if they were metrical at all, or were they sort of free phrased. From the music notation, it appears to be the latter. "By deciphering markings within the Hebrewsym Scriptures themselves, exploring the kinds of instruments the Bible tells us were used in the Temple, and by investigating various descendants from Hebrew tribes that left Israel prior to the Exile, scholars have been able to reproduce tunes that were used in Hebrew worship." Could you expand upon this? I have almost no understanding of music; but, off the cuff, this strikes me as a shaky science. "Today’s usage of percussion instruments to mark an even beat would have been impossible in that day since Hebrew music did not have a steady beat like ours does"
Is this claim based on the irregularity of meter within Hebrew Psalm texts? "The cultural forms nurtured for corporate worship would have influenced the non-worship music of ancient Israel as well. We can observe this by the fact that the poetic forms of worship hymns in the Old Testament and the tunes that accompany them are virtually indistinguishable from their work songs, war songs, and love songs. The difference is only in subject matter." If music serves as emotional metaphor, how could a style even remotely like the Ps. 113 sound clip serve for work or war songs? I know that too much has been made of David's "dancing;" but, I think that even you've acknowledged that he probably "twirled"–joyously and spontaneously–sometimes, in worship. I'm having difficulty imagining anybody expressing that kind of joy, in that way, in association with that Ps. 113 clip. Again, I don't mean to be disagreeable. Just trying to understand. d4, they were not metered or rhymed. Hebrew poetry communicates to the imagination more through parallelism and word pictures. 1. This is a really fascinating study that I didn't have the space to really get into here, so I'll direct you to some other sources. The research I mention is by Suzanne Haïk- Vantoura in _Music of the Bible Revealed_. Ironically, the evangel blog just posted on it; you can see a summary of her research here:&nbsp ;http://firstthings.com/blogs/evangel/2010/08/singing-the-psalms-suzanne-haik-vantoura/. I first heard of it from Paul Jones in _Singing and Making Music_. What convinces me that there is something to her findings is two-fold: (1) her deciphered tunes sound like real music; I find it hard to believe that they would sound so authentic if it were not real, and (2) there has been other research into ancient Hebrews tunes done by studying Middle Eastern groups that split off from Israel prior to the exile, and they found that many of their Psalm tunes sound very similar to the tunes Vantoura deciphered. 2. Yes, and also the tunes themselves. But even without the tunes, Hebrew poetry could not have been set in a regular metered musical form. This prevents the use of percussion as we use it today to hold a steady beat. They had none. More likely, they used percussive instruments to signal various sections, call attention, or give instructions to the worshipers. Good work. 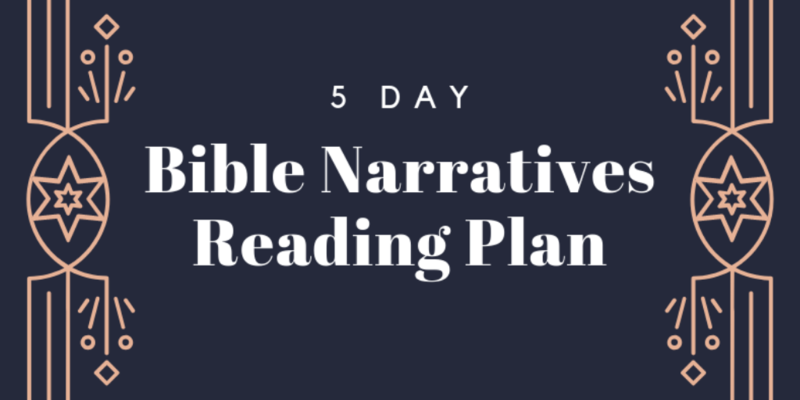 I've often said the Bible has no play button on it, but you've proven me wrong, I believe. This is tremendous. I hope it is not ignored. Thanks. 1. The first place I saw Haik-Vantoura's research was in Paul Jones' book, which lent a bit of credibility to it for me. It was after reading him that I bought her book and found the recordings and web site of the music. 2. I did not intend to make a huge deal of this particular point, and didn't base my argument solely on her research because it is questioned by some. Rather, I used other material as foundational to my point, among others, Music in Ancient Israel by Sendry, which deals with a lot of archeological and historical research into the instruments and other cultural artifacts interacting with the biblical text. All of it together led to my three points (word-driven, modest, distinct from paganism); Haik-Vantoura's research simply provided some interested corroboration. (a) The fact that by using her method all of the chants make sense musically says something. If she were just arbitrarily making something up, one would expect her system to sound "right" with some texts, but not every text. Yet using her method results in pleasing music in every case. I think Jones makes that point in his reference to her work. (b) I ran across some other research (can't put my finger on it right now) that studied various Middle Eastern groups who had broken away from Israel and settled on their own prior to the Exile. These tribes maintained a fairly peaceful and preserved existence on their own for thousands of years. Interestingly, many of their Psalm tunes sounded very similar to Haik-Vantoura's tunes, with slight modifications here and there due to changes over time. (c) Also interesting is that Haik-Vantoura's tunes, along with the tunes collected from some of these tribes, closely approximate early Church Psalm chant tunes for which we have preserved music, lending credibility to the fact that the early church inherited the tunes from the Hebrews. (d) Most of those who question Haik-Vantoura that I have seen are multicultural atheists who deny universal order in music. In other words, they suspect her research because she assumed tonality. She did come into the project with that presupposition, but I agree that she had good reason to since tonality is a universal rooted in the created order. 4. Having said all that, I'm not convinced that the tunes are inspired (I don't think she insists that either), but rather simply notating the tunes as they were sung in Hebrew life. This means that the tunes are not prescriptive; they are simply descriptive, while nevertheless very instructive.